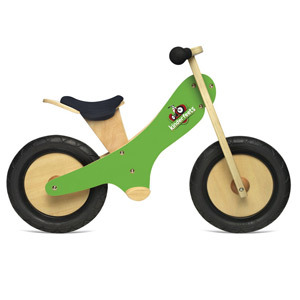 The Kinderfeets is a balance bike, also known as a training bike or a running bike. It provides a great starting point for children preparing to ride a conventional two-wheeled bicycle. It's a clever alternative to training wheels and is considered a superior form of learning to balance on two wheels. The Kinderfeets is for ages 2 + and can carry a maximum load of 70lbs.